Personalised Engraved Football Boot Money Box. 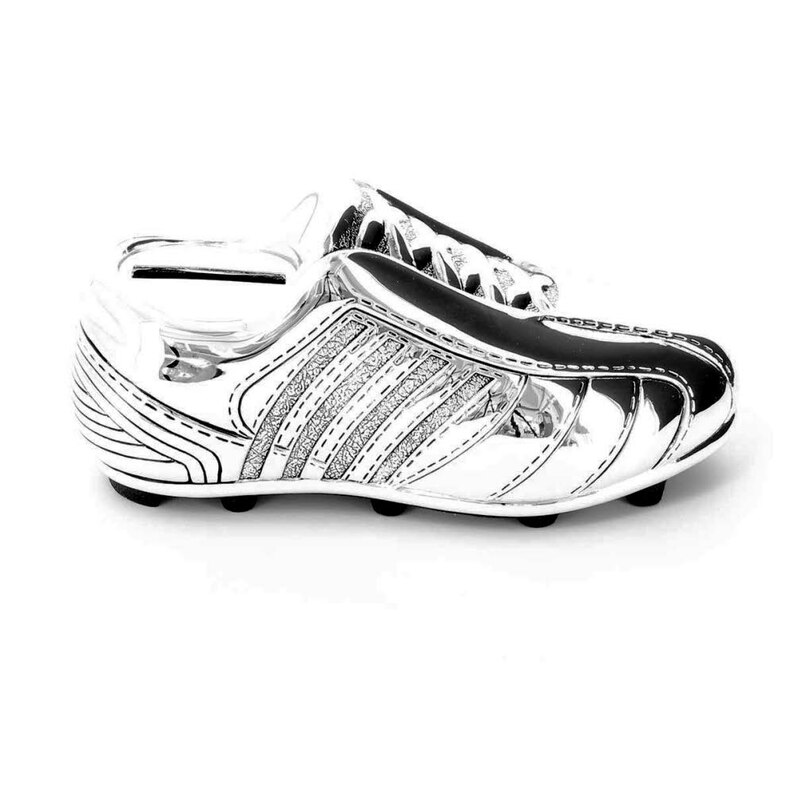 This beautiful silver plated money box measures 13 x 5.5cm with detail around the laces and black studs on the bottom of the boot. Engraving is done either side of the money slot, please keep your engraving to a minimum i.e. Name and Date. Any more than this will delay your order being processed.